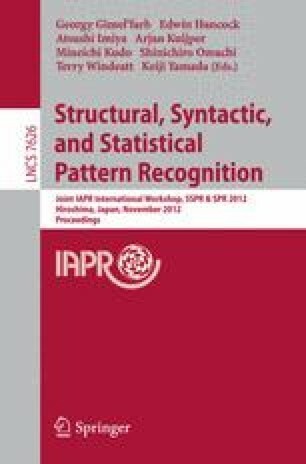 While relational representations have been popular in early work on syntactic and structural pattern recognition, they are rarely used in contemporary approaches to computer vision due to their pure symbolic nature. The recent progress and successes in combining statistical learning principles with relational representations motivates us to reinvestigate the use of such representations. More specifically, we show that statistical relational learning can be successfully used for hierarchical image understanding. We employ kLog, a new logical and relational language for learning with kernels to detect objects at different levels in the hierarchy. The key advantage of kLog is that both appearance features and rich, contextual dependencies between parts in a scene can be integrated in a principled and interpretable way to obtain a qualitative representation of the problem. At each layer, qualitative spatial structures of parts in images are detected, classified and then employed one layer up the hierarchy to obtain higher-level semantic structures. We apply a four-layer hierarchy to street view images and successfully detect corners, windows, doors, and individual houses.